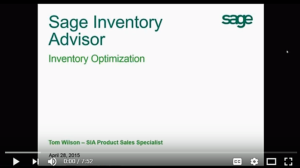 Take back control with Save Inventory Advisor, a cloud-based solution that takes as little as 30 minutes to implement and is accessible on your mobile device. 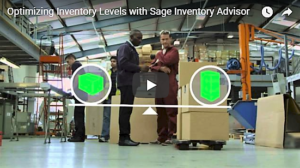 Sage Inventory Advisor is a secure, cloud-based subscription service that helps you reduce stock outs, excess inventory, and working capital. It’s affordable, fast and easy to implement, and can be used with Sage 100, Sage 300, Sage 500, and Sage X3.